Unfortunately not anybody can join the famous Blue Angels for a F/A-18 flight, but the possibility exists – unfortunately not for everybody. The Blue Angels are some kind of marketing tool to enhance US Navy and Marine corps aviation recruiting. Also, the Blue Angels are ambassadors for the US Armed Forces and the United States in general. Generally, no supersonic flights are allowed by Civilians above the US and Europe. We sometimes have requests if we can offer F-16 Flights, F-18 Flights or even F-22 Flights. Unfortunately, that is not possible. And I guess the costs for an F-22 ride would be a bit too high for most. Who can fly in the F/A-18 Hornet Jet with the Blue Angels? 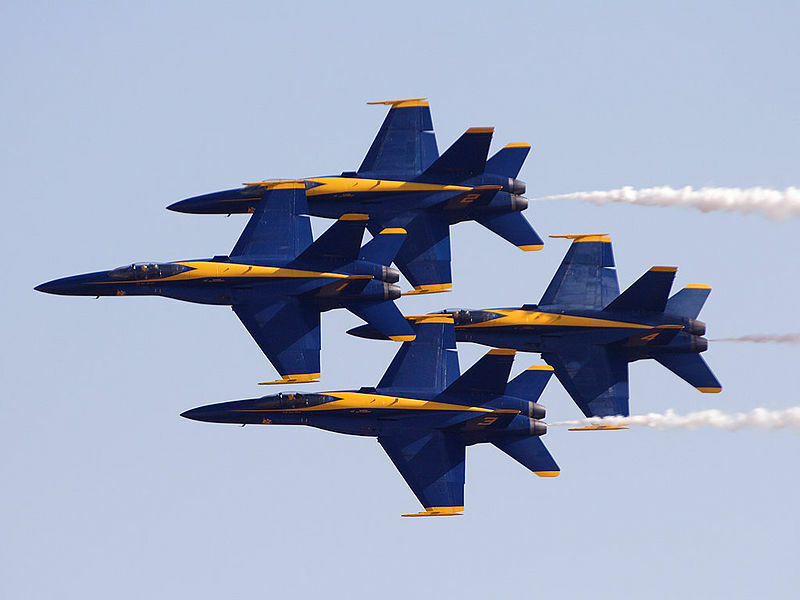 There are fixed rules, however it is not possible to buy a backseat flight with the Blue Angels without “being selected”. In other countries it is possible to fly a supersonic fighter, such as the supersonic MiG-29 Flight in Russia. With the Blue Angels, it is different. Remember, they are a marketing tool. So the aim is to spread the image that it is really cool to be a Navy Pilot. Which is, of course, true. The Blue Angels have 3 backseats each show to give away, with pilot #7. Now, which lucky guy gets one of these seats? Two of the jet rides with the Blue Angels go to people selected by the Key Influencer program (KI). Key Influencers are those with substancial influence among young people, the targeting group for Navy and Marines recruiting (sorry older guys, this is the truth). But that’s not the whole truth, Kaci Aitchison is not that relaxed and smiling for the whole flight. Watch the second video from 0:45. Hello Kaci!? Can’t see you. Now, there is a second category allowed to fly, as indicated above. The third backseat each show is given away to a “credentialed media representative”. And here comes our Chewing-Gum-Steve (others call hem Pass-Out-Steve or Are-you-with-me-Steve). They have up to 7Gs during their flight. As written before, unfortunately we can’t offer flights with the Blue Angels. But you can get a supersonic flight, one of our MiG-29 customers had up to 9Gs during his MiG flight. For that you have to travel to Nizhniy Novgorod in Russia. Alternatives are the comparably priceworthy Fighter Jet Rides in the L-39 Albatros.